English: A lack of access to electricity poses an obvious barrier to education and sometimes even the health of children. They prevent the use of modern communication technologies, proper lighting and the application of technologies unhazardous for health for heating and cooking. Educational institutions can also benefit from savings on their fuel expenses. 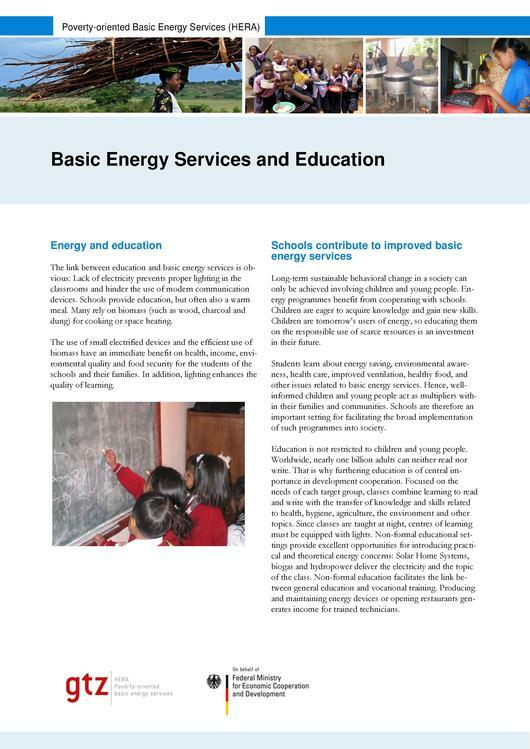 Additionally, education provides a long-term contribution to the improvement of basic energy services. 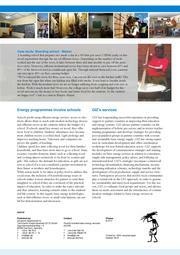 Promoting the access of educational institutions to modern energy therefore provides a range of potential benefits. This page was last modified on 28 November 2014, at 10:01.